How might we legitimise migrants’ voice among media? 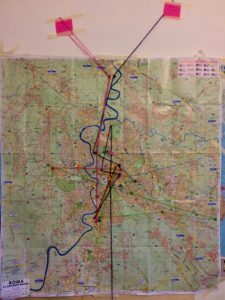 How can we empower them to become active actors in the creation of information? 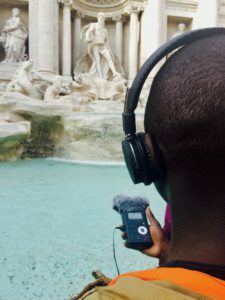 Can radio as a storytelling tool, and sound as an artistic medium, be used by migrants to freely express themselves? 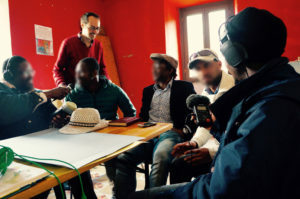 The project RifugiART had, inter alia, the goal of exploring these questions and find answers through a series of weekly workshops, that from January to April 2017 has involved a group of 14 asylum seekers, refugees and migrants. 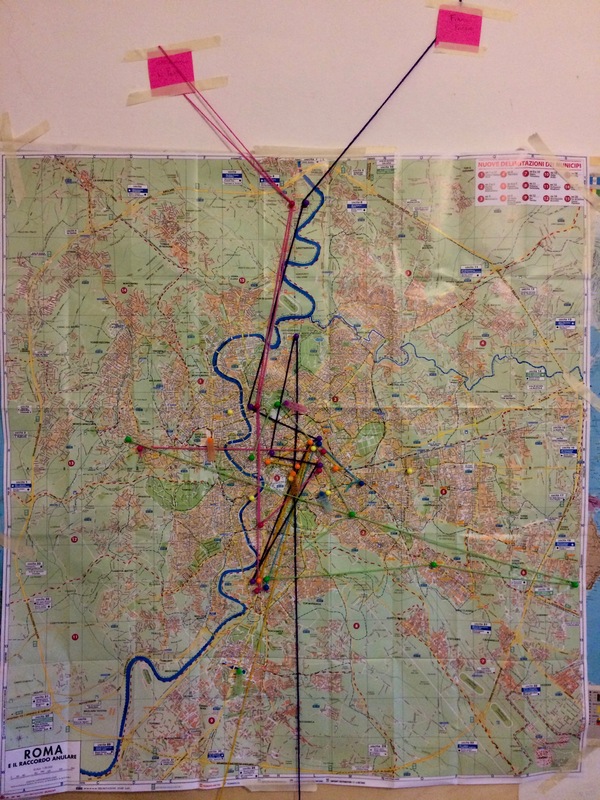 During the workshop, participants worked on a participatory narrative mapping of some specific neighbourhoods in Rome. 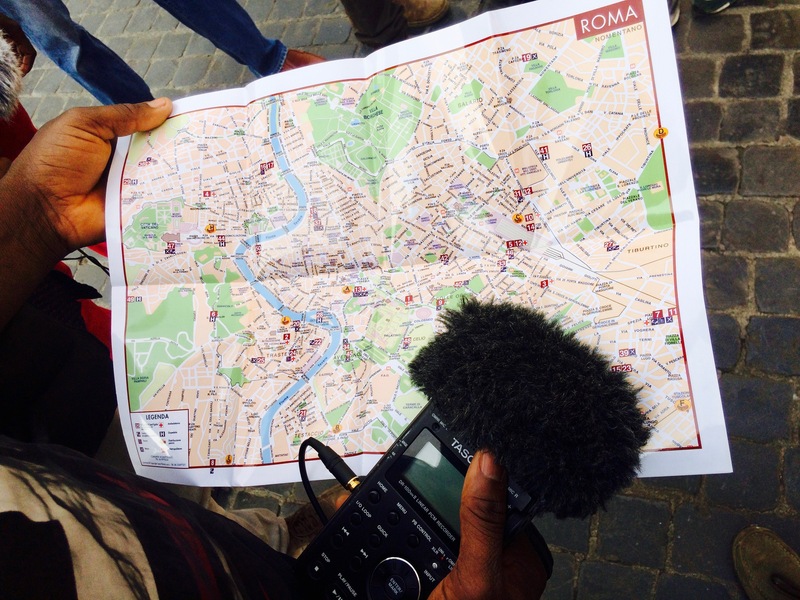 Interviews, auto-biographical story-telling, cooking recipes and radio fictions realized by the participants have been put together to create the soundwalks of Guide Invisibili, that will accompany listeners in the discovery of the neighbourhoods of Trevi and Piazza Vittorio through the eyes of migrants. A way to question our own perspective on a city we often live carelessly and, at the same time, to give new enphasis to the experiences and stories of the new citizens. The project RifugiART was born from an idea of Laboratorio 53 ONLUS in collaboration with Echis – Incroci di suoni, Alamiré Onlus and Liscía.